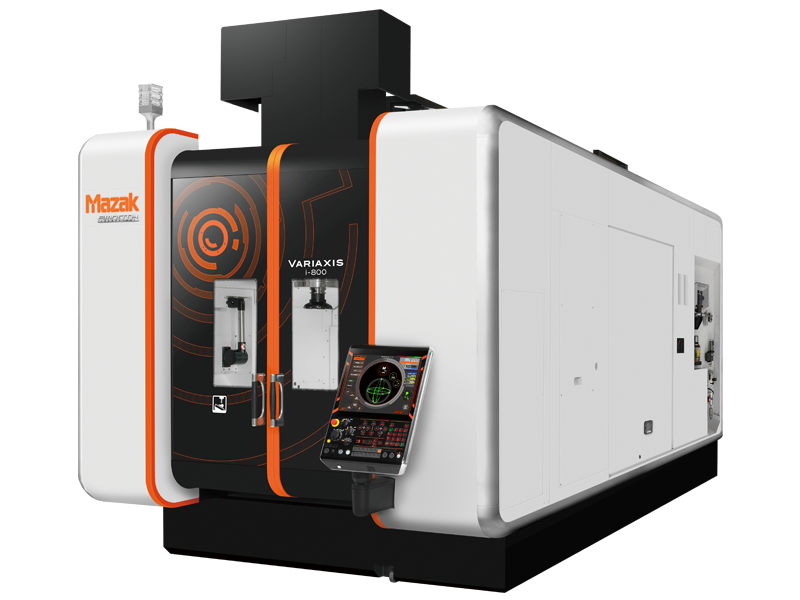 The VARIAXIS i-800 vertical machining center has advanced multiple-surface, simultaneous machining capabilities for accurately processing large, heavy parts with complex profiled surfaces in single setups. When paired with an optional two-pallet changer, the machine provides unattended operations and off-cycle part setup. This simple, efficient form of automation allows operators to load, unload and inspect parts on one pallet while the machine works on the other undisturbed. The machine also easily integrates with our exclusive PALLETECH System, which can keep it running 24/7 without adding night or weekend shifts.